I hope this finds you enjoying a wonderful Memorial Day Weekend! Let's just have a quick look back at the pixie dusted postulations from the past week. It won’t take long and then we can take a look forward at what’s coming up next week here on Focused on the Magic. ►My monthly article appeared on The Disney Moms site. ►I won the Keys to the Kingdom Giveaway! It's a really nice lanyard and pin set, perfect for our next trip. Thanks so much to Keys to the Kingdom for having such a super giveaway!! Stop by and read the post as Katie describes the pin trading process in the parks. ►We had a tremendous turnout for the Disney Wordless Wednesday Blog Hop. I shared Cinderella Castle, Pretty in Pink. ► The new and improved Photo Flashback Blog Hop started on Friday and will run through Monday. I posted about Star Wars Weekends. 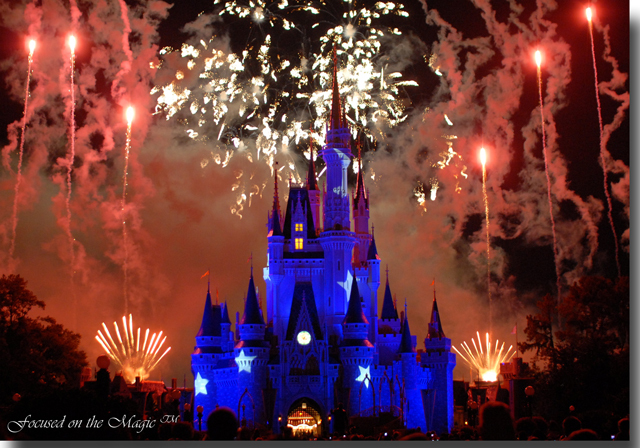 The 5/30 Disney Wordless Wednesday Blog Hop will be brought to you by the letter "A". The June 6th theme will be "June Calendar Shots". If you were to design a calendar what picture or pictures would you use for the month of June?